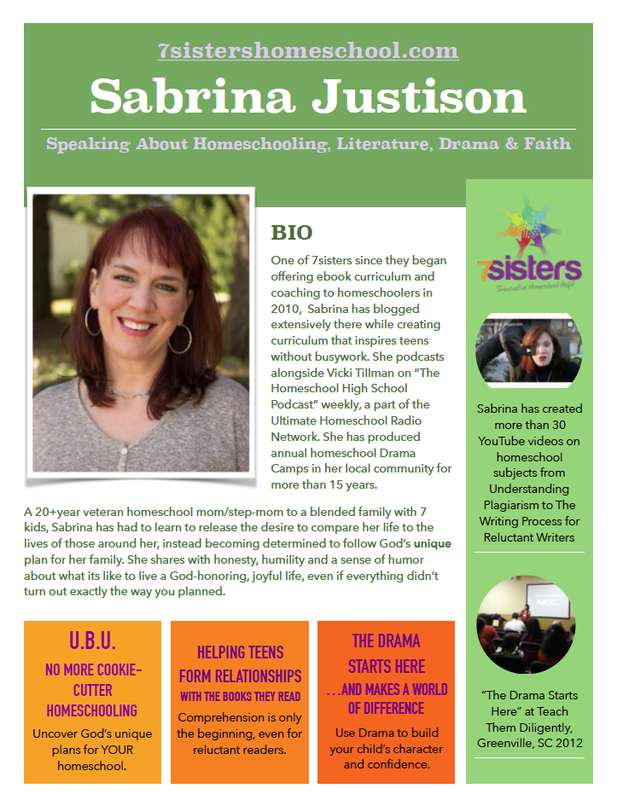 Invite Sabrina Justison SPEAKER to share at your event! or a topic that your group decides to ask her about! Email sabrina@7sistershomeschool.com to discuss possibilities. Speaker fees are negotiated on a case-by-case basis. Travel fees must be reiumbursed. Read more about Sabrina in her Bio here. Find Sabrina’s personal blog here.